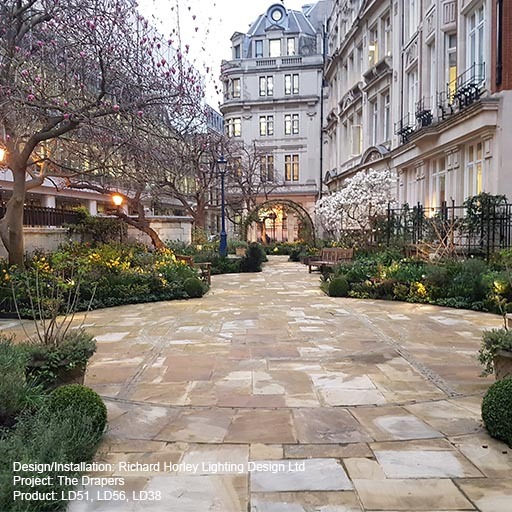 LightGraphix has supplied LD56 recessed uplighters together with LD51 and LD38 light fittings, all fitted with the latest in LED lamp technology, to the Drapers' Company, one of the Twelve Great Livery Companies in the City of London. 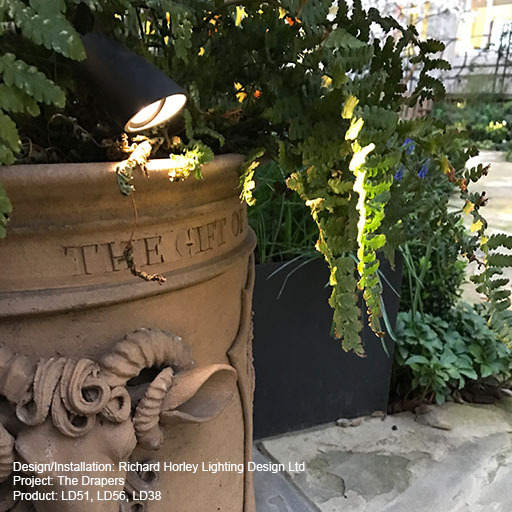 These light fittings have been installed by the lighting designer for the project, Richard Horley Lighting Design, in the gardens of Drapers' Hall located in Throgmorton Street near London Wall. 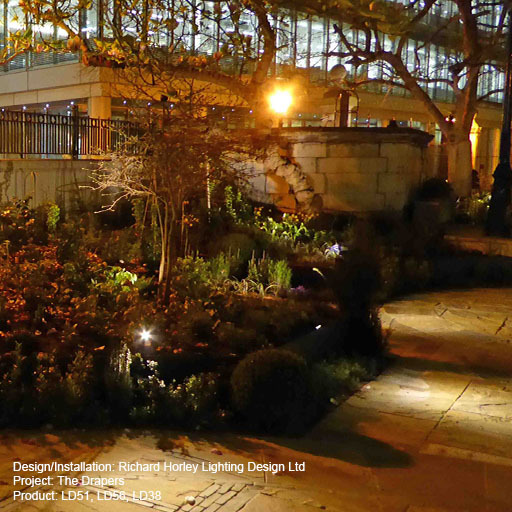 The LD38 fittings are being used to illuminate trellis and trees, whilst the LD51 luminaires are creating pools of light around the garden itself. 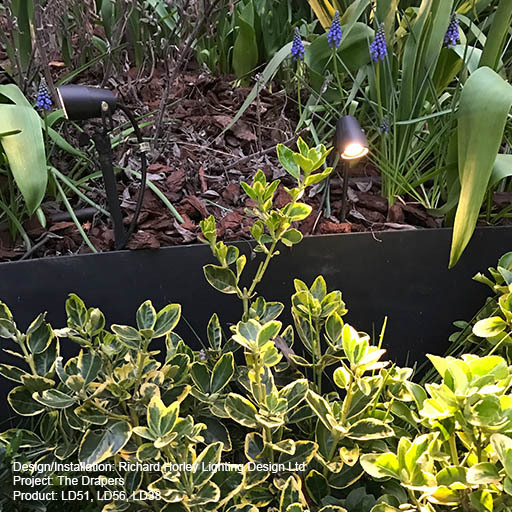 The LD51 is a very small, but powerful IP67 rated surface mounted adjustable LED spotlight and is now supplied with a newly designed range of optics. It is adjustable and lockable with a miniature pivot mechanism. 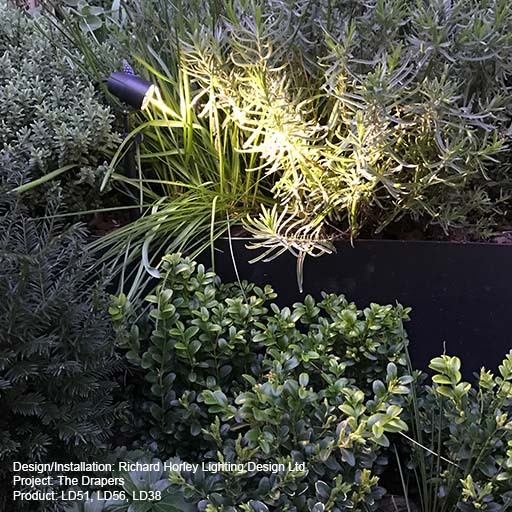 Accessories include a glare cowl which can be rotated to hide glare from most angles, and a soil spike making it ideal for this type of application. 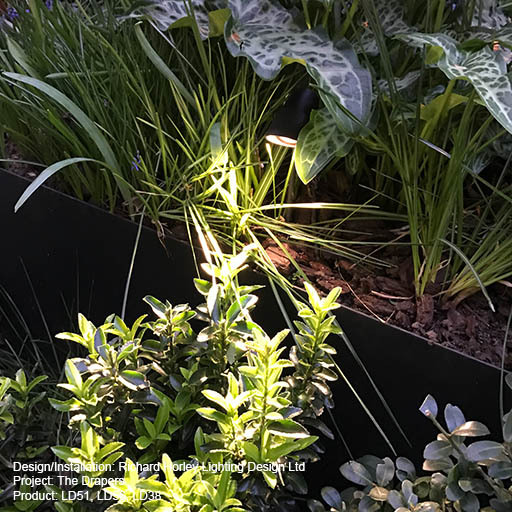 The LD38 exterior wall grazer is a high power, linear LED fitting. 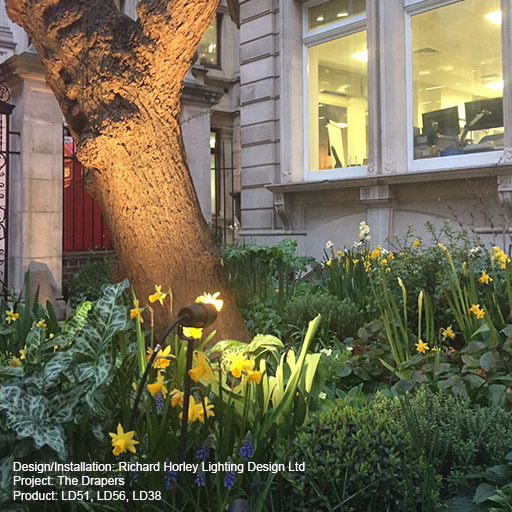 For Drapers' Hall these light fittings were supplied on spikes, the first time that the LD38 has been supplied for a project with this type of fixing. 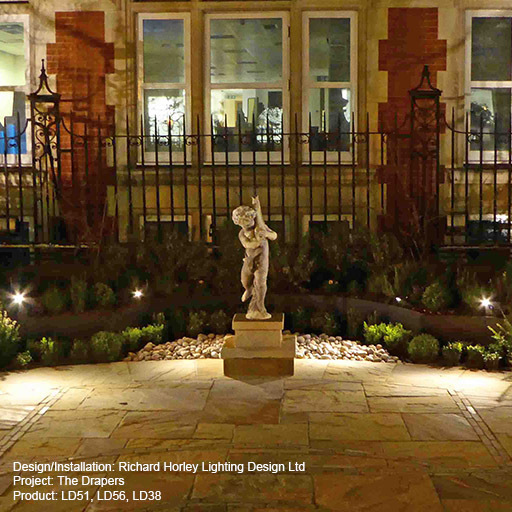 Thank you to The Drapers' Company for giving us permission to use these stunning images.